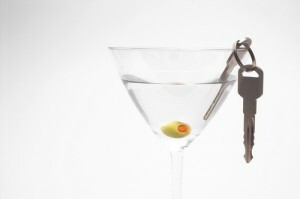 Continuing from where DUI Car Accident Cases: FAQs (Pt. 1) left off, below we will continue answering questions about traffic accidents caused by drunk drivers. Q – Will criminal cases against drunk drivers affect DUI car accident cases? These FAQs about DUI car accident cases can provide some answers for victims. People can also call us, set up a consult and get all of the answers they need. Victims don’t have to wait for the criminal case to be resolved in order to move forward with filing their DUI car accident cases. A conviction in criminal cases can be additional strong evidence for DUI car accident cases, as it establishes criminal negligence. Whether it makes more sense to file DUI car accident cases now or wait for criminal cases to be resolved, however, will depend on the specifics of a person’s case, and an experienced Colorado Springs car accident lawyer at Shakeshaft and Gorman Law Firm is ready to help you answer this question and figure out your best options for proceeding. Q – What if my DUI car accident was also a hit-and-run? What are my options then? Filing a claim with your own insurer if you have uninsured/underinsured motorist coverage – This type of coverage also provides compensation for hit-and-run accidents, and having an experienced attorney help you pursue these claims with insurers can be pivotal to their success. Q – How long do I have to file my DUI car accident case? A – In the state of Colorado, people have two years from the date of their accidents to file their DUI car accident cases. Injury and damage-related bills getting lost so that it becomes difficult to calculate how much injured people are entitled to for their DUI car accident cases. Therefore, if you may have a DUI accident claim, don’t hesitate to proceed with your claim. Contact us for immediate action, aggressive legal advocacy and the best representation moving forward with your case. Be sure to look for the upcoming conclusion to this blog series that will be posted soon! Have you or a loved one been hurt in a car accident caused by a drunk driver? If so, Colorado Springs Car Accident Attorney Kenneth Shakeshaft is ready to advocate your rights and help you recover financially. Since 1982, Kenneth Shakeshaft has been providing people injured in traffic accidents with superior legal service, helping them put their lives back together. To find out more about how we can assist you, schedule a free initial consultation with us by calling (719) 635-5886 or (800) 383-5886. You can also email us using the contact form on this page. We don’t get paid unless or until you get paid, so you have nothing to lose and everything to gain by contacting us today.